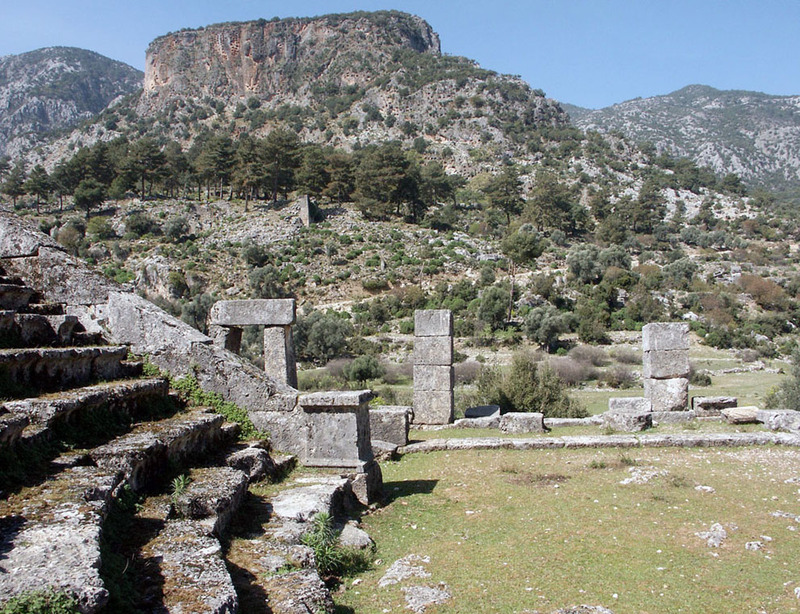 A German and French team directed by Prof. Dr. Martin Zimmermann (LMU Munich) and Prof. Jacques des Courtils (University of Bordeaux) is conducting a cooperative study of the settlement history of Lycia, with particular emphasis of the Xanthos valley. DFG and ANR have provided the project with funding of around one million euros. The Xanthos valley is an ideal test case as it perfectly represents the political, social, cultural, and cultic idiosyncracies of Lycia. All historical developments of Lycia had their roots in this region. It consistently enjoyed a leading role because it housed the peninsula's most significant poleis, who not only ruled almost the entire peninsula during the Archaic and Classical periods, but also remained important political centres of the area in the Hellenistic and Roman periods. The three-year project aims to assess the region as a whole and study the foundations of the region's prosperity in its economic, cultural, political and cultic dimensions. Accordingly, the reconstruction of the region's history shall take into account also its economic organisation and forms of regional as well as supra-regional economic exchange. 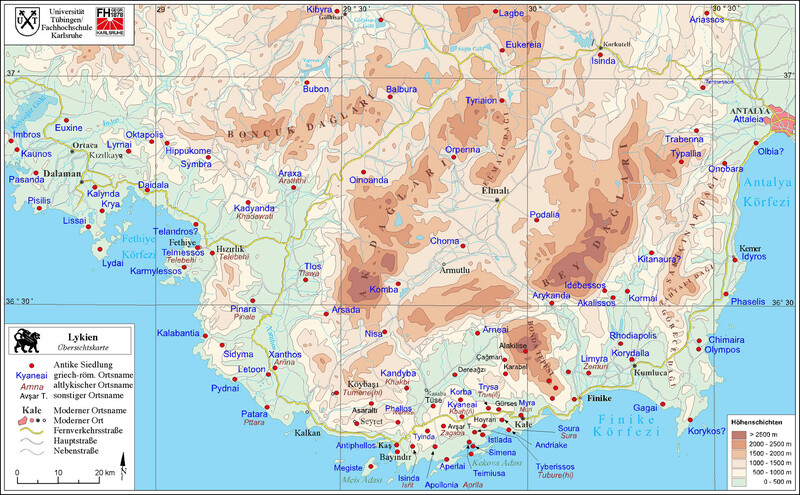 No other Lycian region has such a wealth of agrarian resources, due in part to the exceptional amount of water found in the area by comparison with the rest of Southern Asia Minor. The settlement and agrarian structures of the poleis are to be studied by way of select test cases, which shall then be compared to the Central Lycian area of the Yavu mountains, which has been studied in depth. Since the Xanthos valley performed an important economic and logistical broker function for adjacent areas, for instance Kibyratis to the North or Central Lycia to the East, particular attention will be due to the exchange processes with these regions. Besides the field work done on the territorial extents of the poleis, the evaluation of pottery will be essential, since it offers unique insights into processes of exchange and trade. Studying the pottery will allow not only short-distance-trade, but also supra-regional contacts and their dynamics to emerge in far greater detail. The cooperation project thus aims to produce an extensive regional history on an archaeological and historical basis that synthesises various strands of local historical development. This publication will draw together all information available on the urban infrastructure of the poleis, the settlement structures of the surrounding areas, and on the road networks connecting them. All available epigraphic documents, coins, and the limited literary sources will naturally also be taken into account. This archaeological and historical research will be supplemented by geomorphological, archaeobotanical, and archaeozoological studies, as well as an assessment of the area's environmental history. These scientific methods will allow us to produce a well-rounded picture of the Xanthos valley as a whole. The most prominent sites will be Xanthos, with its Letoon, the sanctuary of the Lycian league, and Tlos, since they were the most important poleis of the region besides Patara; furthermore, the cooperation partners are already working in both of these poleis. A cooperation of German and French scholars provides an excellent basis for this project since the long-standing excavation project has revealed a wealth of material and the staff involved have excellent knowledge of both the area and its monuments. 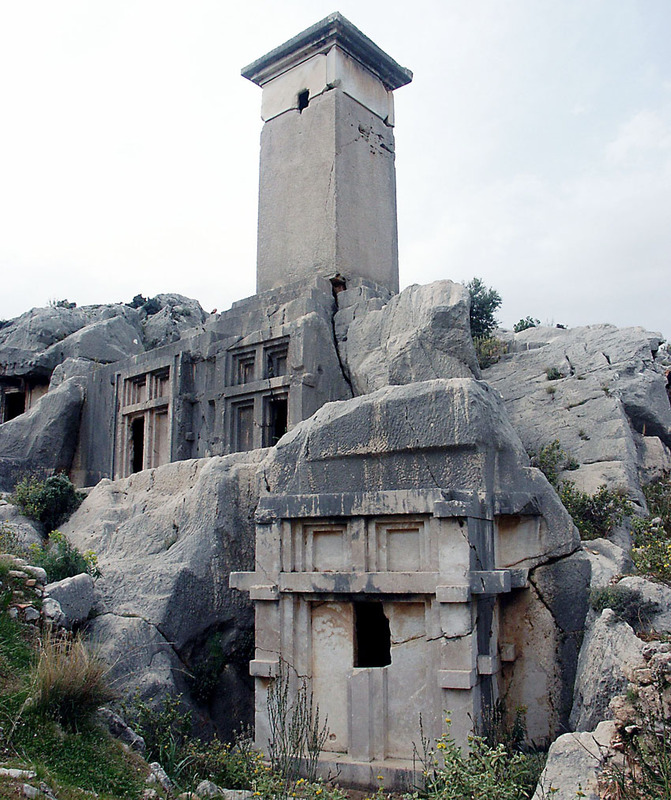 The German contributon consists in many years of experience in conducting archaeological field work, as well as extensive historical and epigraphic expertise in Lycian history.